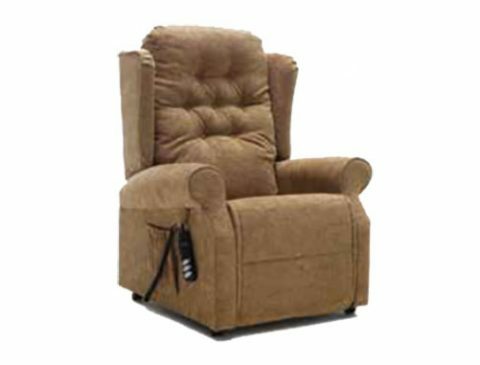 Give yourself the gift of pure comfort with the selection of adjustable mobility recliner chairs from The Mobility Store. 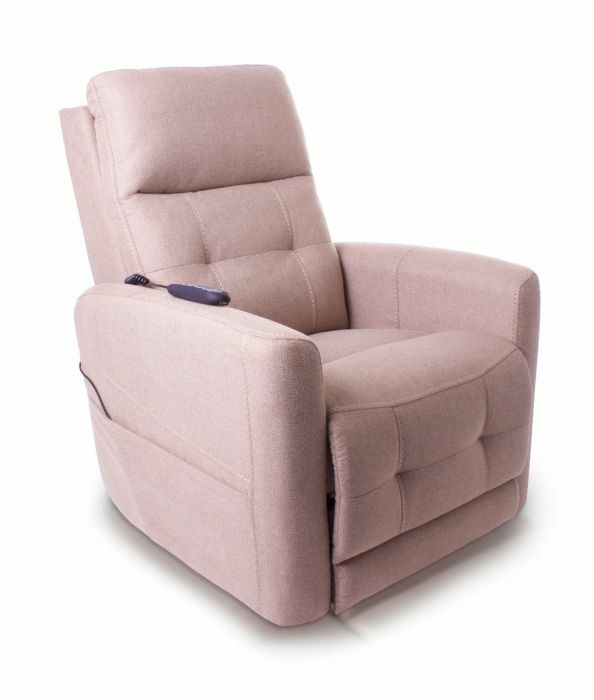 We have a wide range of adjustable chairs and mobility rise and recline armchairs that are manufactured in England by a team of craftsmen who are truly committed to optimising the independence and ease of life for those who require their products. 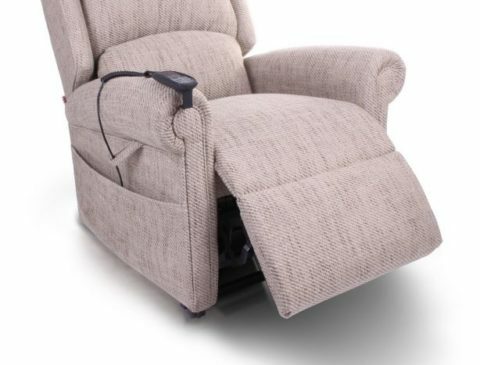 Contact us today here at The Mobility Store to discuss visiting our showroom to take a look at the selection of mobility recliner chairs that we have available. Our team will always be on hand to answer any queries you may have about a product you require. 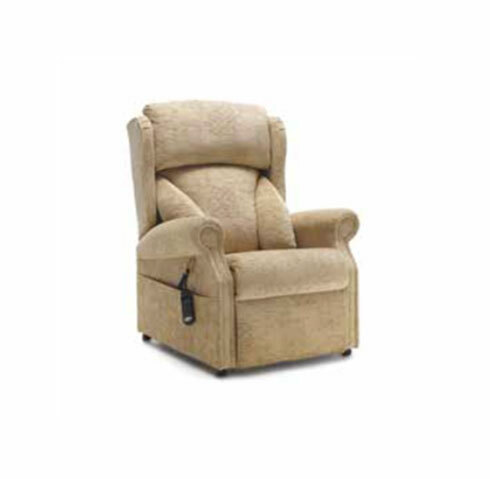 Our range of rise and recliner chairs, with fast delivery, are custom made in England with an emphasis on quality as well as value for money. 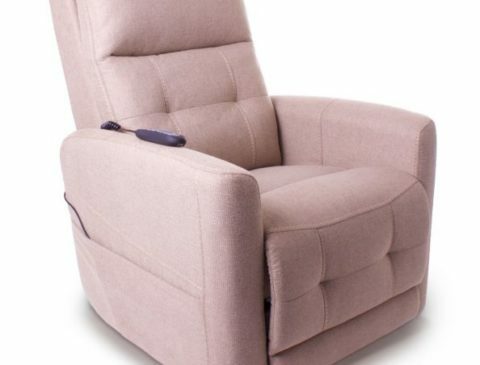 Your team at our mobility shop feel that the best way to decide on your chair is to come in and test their suitability, so why not visit us today to sample our chairs. Alternatively, contact our team via our online enquiry form to get in touch today. 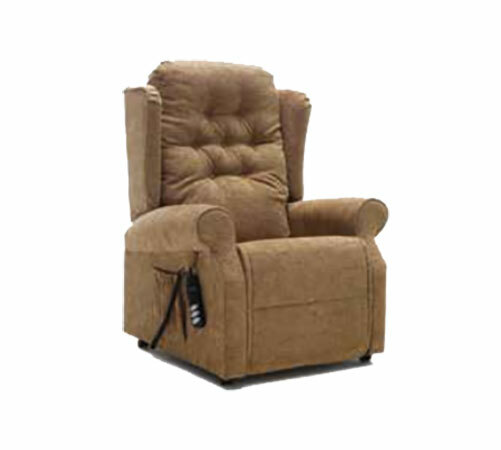 The Camberley is a new cost effective lift chair from Pride Mobility Products Ltd. 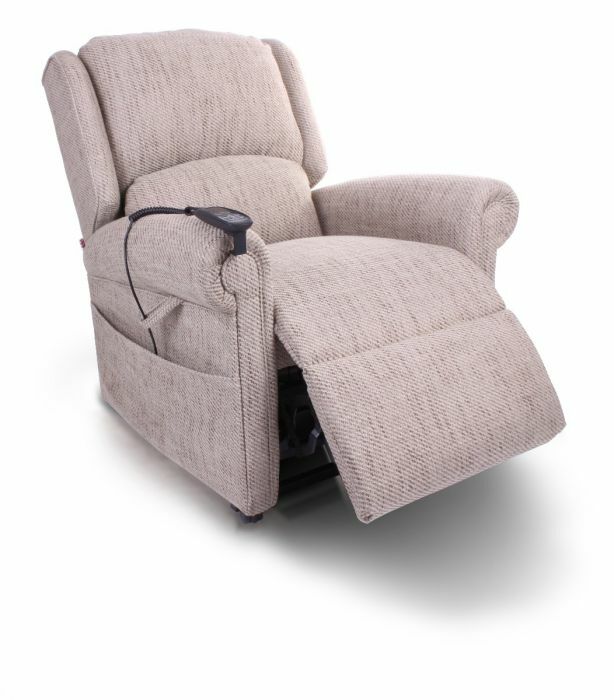 The dual motor design allows you to rise or recline to find your perfect position. 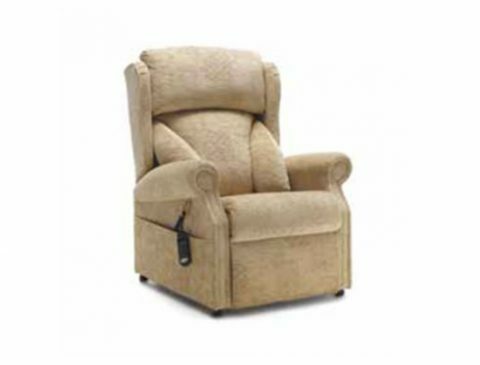 Featuring a hand stitched, deep waterfall back the Camberley provides you with ultimate comfort and quality, which suits any living room environment. 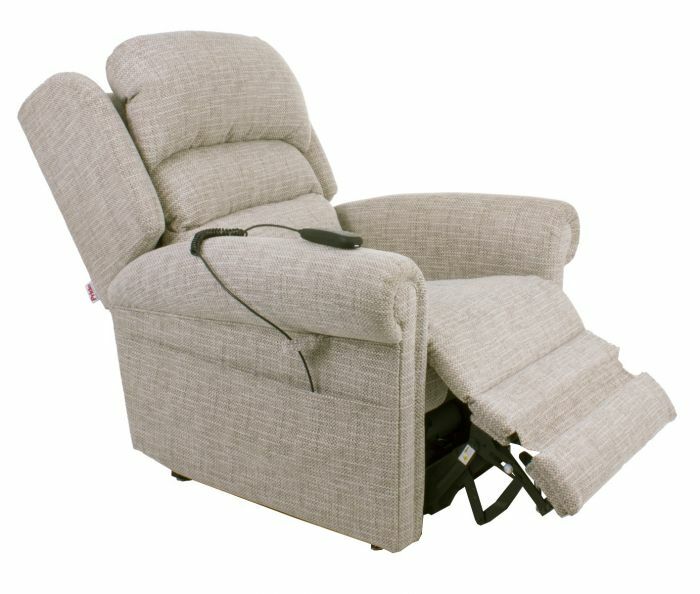 dual motor lift chair operates the backrest and footrest separately, using a dual motor design. 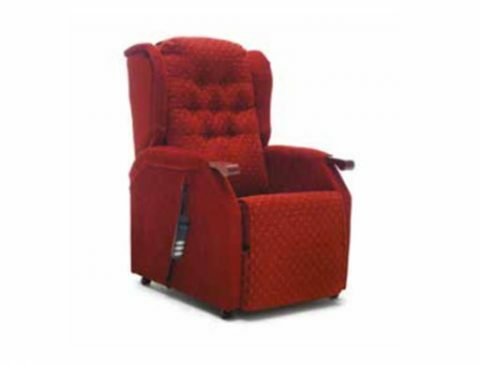 The Dorchester is a dual motor lift chair with a power headrest and powered lumbar support. 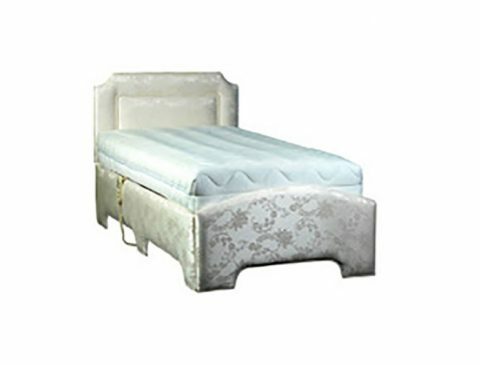 Comes with headboard and Available in 3′, 4’6″& 5′ Your choice of mattress, delivery and installation available. 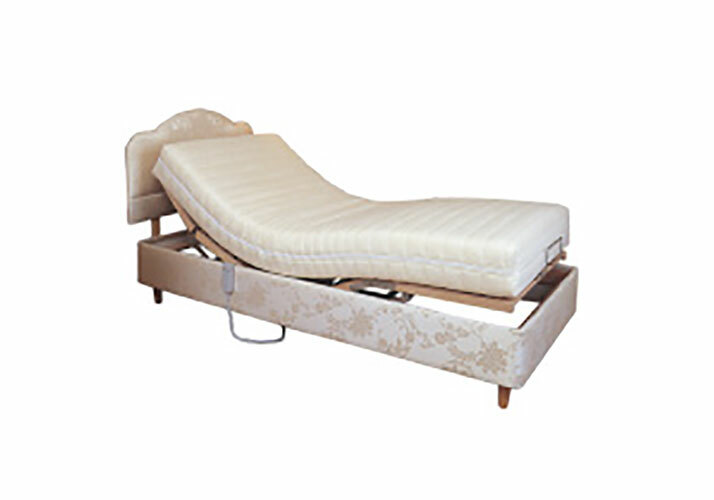 Designed to provide both the carer and client with a bed that can facilitate up to 60 stone in weight. Making Nights Easier. This hospital style bed incorporates an easy to clean, quick release head and foot board, nurse/carer controls, bumpers and multiple care positioning options. 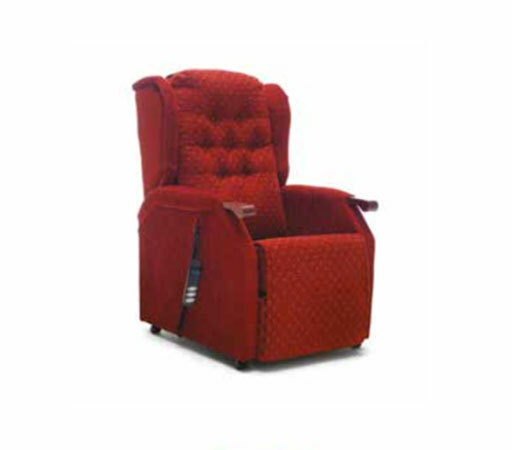 The Harrow chair is available in three sizes. It supports 19 stone / 120kg maximum user weight. 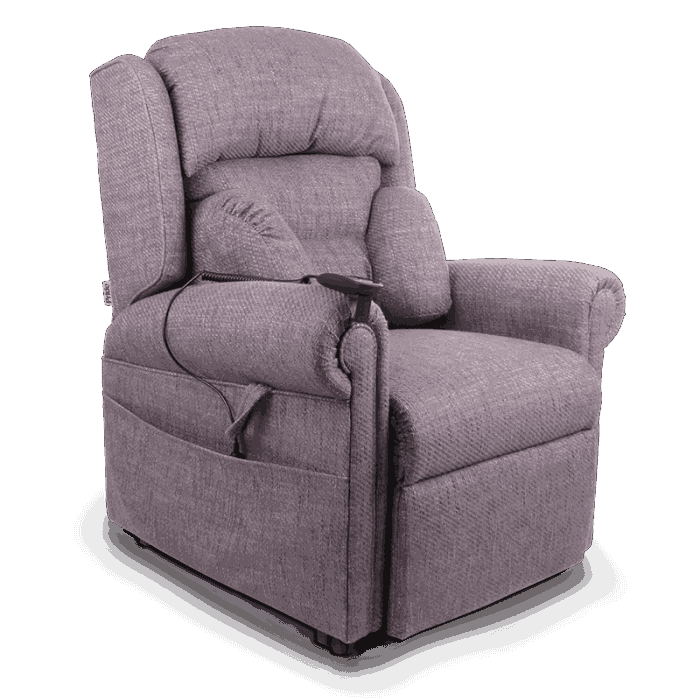 Available as a single or dual motor chair, the harrow is crafted with a button back design giving this chair a quality tailored finish. Single / dual and manual options. Side pocket + loop. Button back. This best selling and well sought-after bed is designed with the less-able in mind. 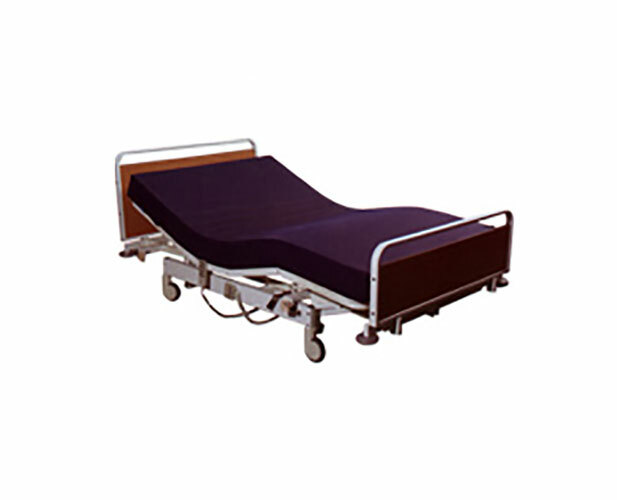 Each side of the bed has a double arch design providing easy hoist and over-bed table access. 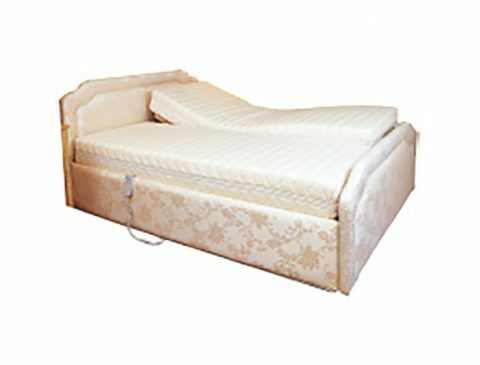 This bed features decorative cording, a classy padded surround and is completed with a stylish foot board. The Richmond boasts luxury, quality and comfort, complemented by our high quality upholstery and your selection of mattress. Available in three sizes. 19 stone / 120kg maximum user weight. Single / dual & manual options. Comfortably designed wooden knuckles help the user in and out of the chair. The button back design is for those who prefer an upright posture. Side pocket + loop. Button back. Ergonomic wooden knuckles. The Denver comes in Singles, Doubles and Duals. 5 Fold Mechanism. Beech Wood Slats. Singles, Doubles and Duals. 5 Fold Mechanism. Beech Wood Slats. Lumbar Adjustment Firm/Soft Feel. OKIN Whisper Quiet Motor System. Easy Operation Controls. 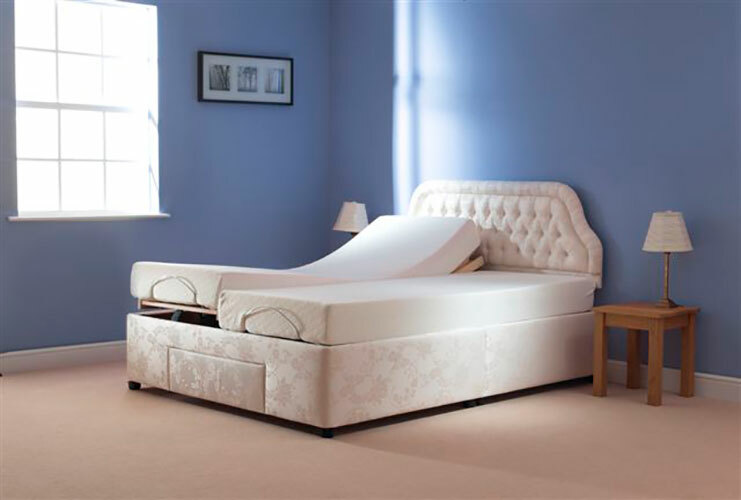 Sumptuous looking bed featuring a luxury, fully padded mattress and upholstered bed surround. 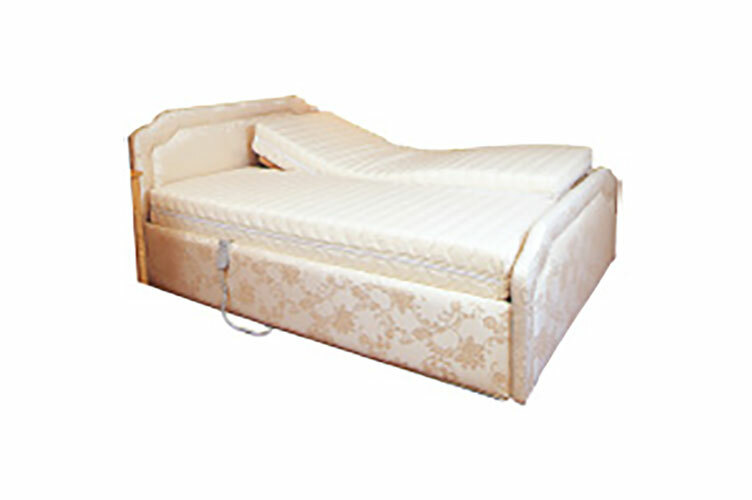 This deluxe bed has been designed for those who appreciate a supreme product. Its head and foot ends do away with the need for separate head and foot boards. 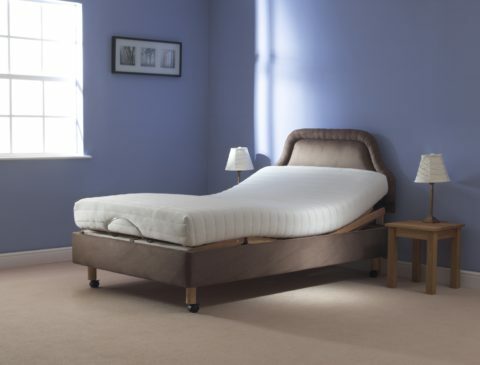 The Cromwell is a traditional style bed designed with budget and practicality in mind. A single bed supported by four highly polished teak skittle legs, ideally suited for over-bed tables and hoists, giving a generous clearance of 6’5”. Manufactured using corner gussets and birch hardwood supporting rails, which give a strong but essential design. Complimented by our high quality upholstery and your option of mattress. 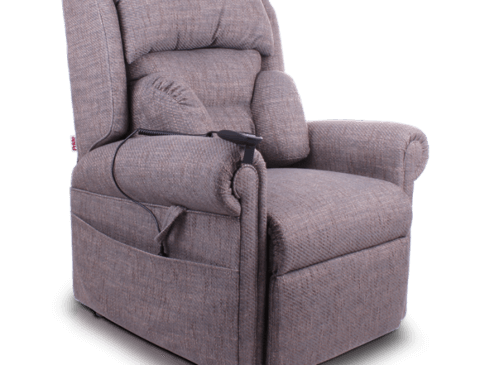 The senydd is supplied with a tilt-in-space mechanism, which when reclined allows the fixed back and seat to move with one another, promoting better posture. Available in three sizes. 25 stone / 160kg maximum user weight. Multi-angle lifting: including vertical lift. Posture back option to provide additional “lumbar support”. Multi-position waterfall cushions with velcro attachment. Full-length pocket + loop. Single or dual 3-way options. Give yourself the gift of both a good night’s sleep and the ease of getting out of bed in the morning with the selection of adjustable beds from The Mobility Store. 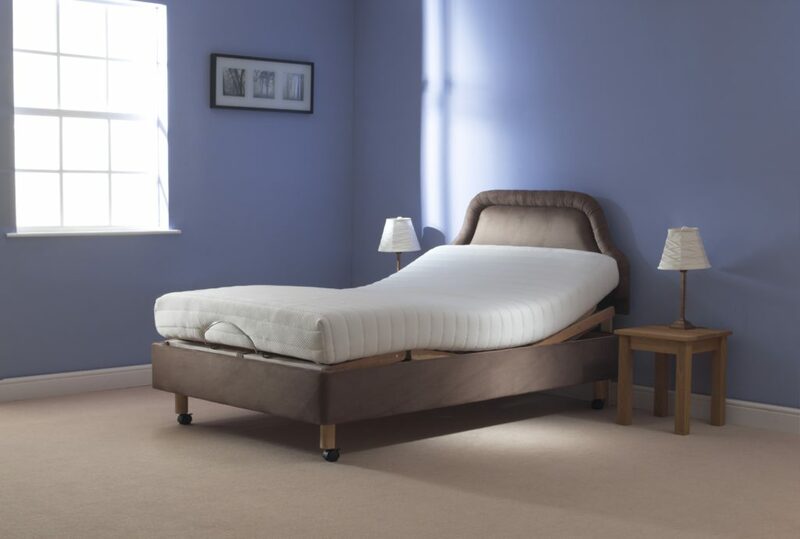 Helping you get a comfortable night’s sleep and enabling you to enjoy the best possible care are two of the criteria that our adjustable beds are designed to fulfil. 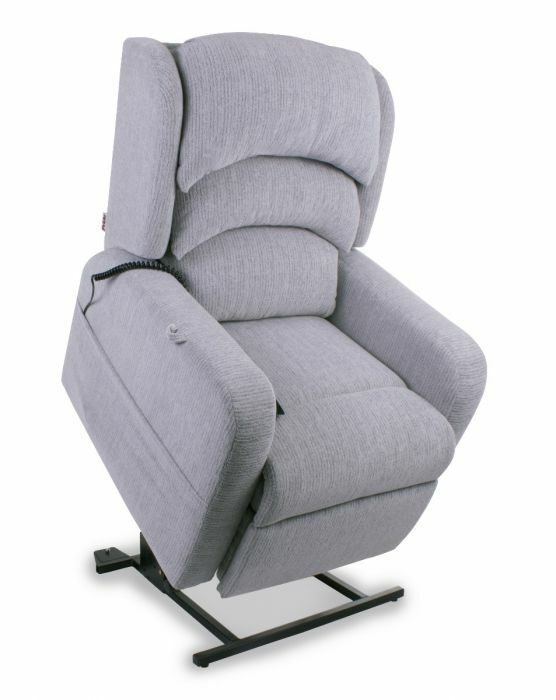 With much of our life spent in bed, it is essential that for those with special disability needs great care is taken when choosing a rise and recliner bed. 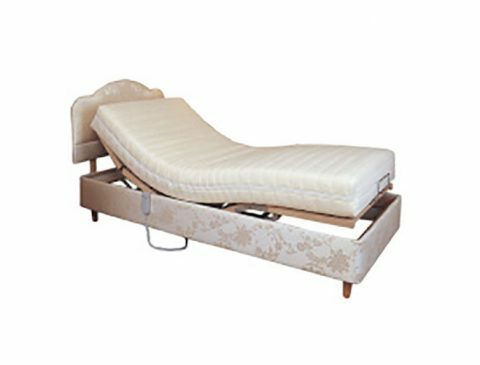 We have a varied range of adjustable beds to choose from, including adjustable single beds, hospital style beds and recliner chair beds. 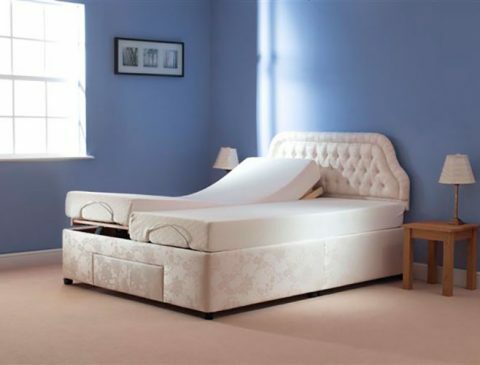 Our beds are created to suit a range of customers, with most beds holding up to 60 stone in weight and offering a 2-year guarantee, so that you can rest assured that you’re getting a reliable product for your money. The beds are also customisable, allowing you to choose from different mattress types and finishes, with your comfort always coming first at The Mobility Store. Contact us today here at The Mobility Store to discuss visiting our showroom to take a look at the selection of adjustable beds that we have available. 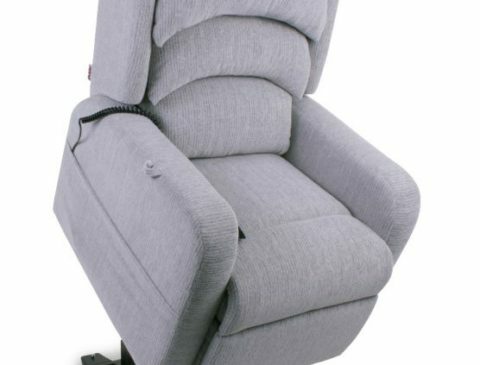 Can I visit your store to test each chair? Yes. We encourage our customers to properly test our products to ensure you’re going to be happy with your purchase. 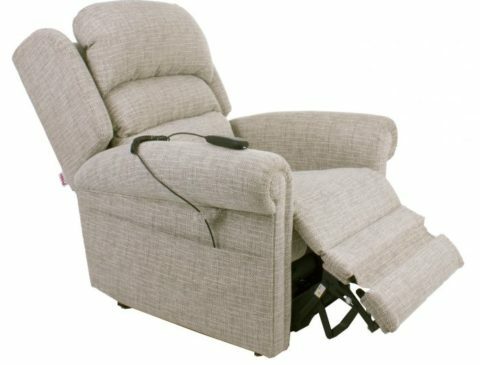 This includes tests to ensure you’re comfortable in the chair, able to sit down and stand up safely, and you can operate the controls properly.